Sales Follow Up- When it comes to the outbound sales success, the harsh truth is that there is no one-off magic formula that you can rely on. There is no silver bullet subject line which will miraculously pump up your open rates just as there is no best time to call your prospect. Yet, it goes without saying that professionals are constantly looking for that elixir – the one which will get them to close the deal. And the follow-up process might as well turn out to be amongst the most important things for you to consider. There are a few key considerations which will definitively increase your success when it comes to prospecting. This is a very sensitive area as a lot of sales reps will argue that reaching out to a client more than a couple of times as sales follow up is not worth it. The rep tend to believe that once the client has failed to buy under their best sales pitch, they wouldn’t do so afterwards either. This is completely wrong. Sales is a process which takes time, especially if you are aiming to close big ticket deals. A lot of this hinges on the actual point of the prospect in terms of their buying journey. So, how many times should you reach out? It’s probably not going to surprise you that there is no golden rule here either. However, seven or more touches is the accepted threshold amongst leading experts. Keep in mind that email is far from being the only reach-out channel that you can take advantage of. Pair it up with phone calls as well as convenient social media outreach in order to enhance your strategy. 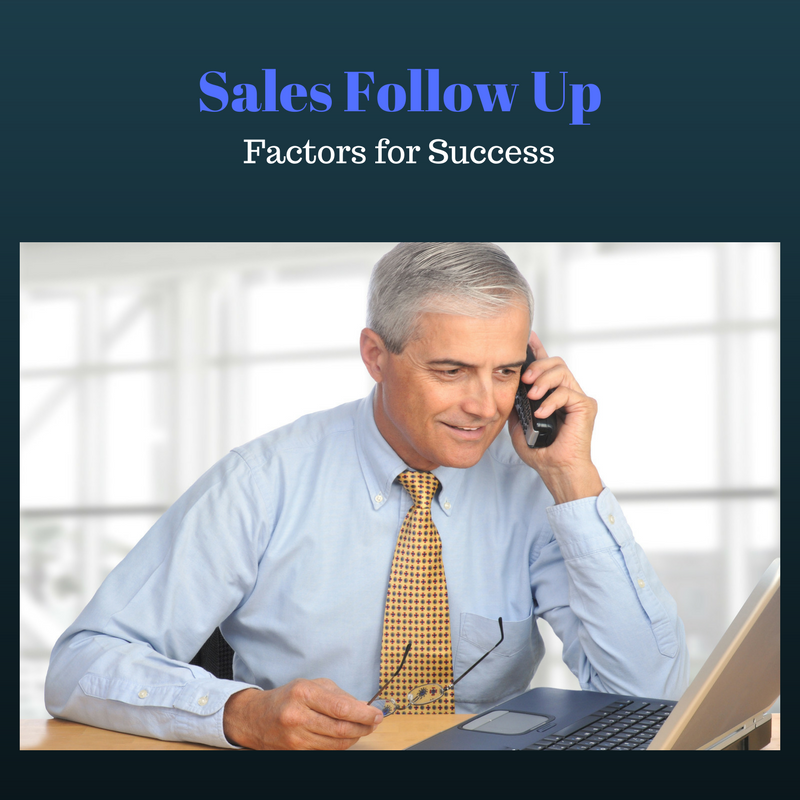 An effective practice is to call the prospect and follow up immediately with an email. If you really want to get under their radar without actually being a nuisance, you should also add social media to the picture. A quick example is to favor their tweet and follow them up about an hour afterwards. If and when they follow you back, send in a direct message through Twitter. 3. How Much Time to Wait? What’s the cadence that you want to check in with your prospects? Again, there are different approaches that you can take, depending on your target audience. For instance, if you want to attract quick sales of less expensive products, following up regularly might be a good idea. This is where a short 12-hour interval might actually seem accepted and it could display prominent results. Of course, if you are targeting high-ranking officials you would want to be a little bit more subtle as it’s not hard to get completely blocked out and blacklisted. Obviously, there are a lot more considerations to be aware of but these represent some of the stepping stones when it comes to the follow-up process. Treat your prospects carefully and do not give up on them – this is the key to forging new working relationships. eEndorsements is a sales tool used to help in sales conversion and engagement.